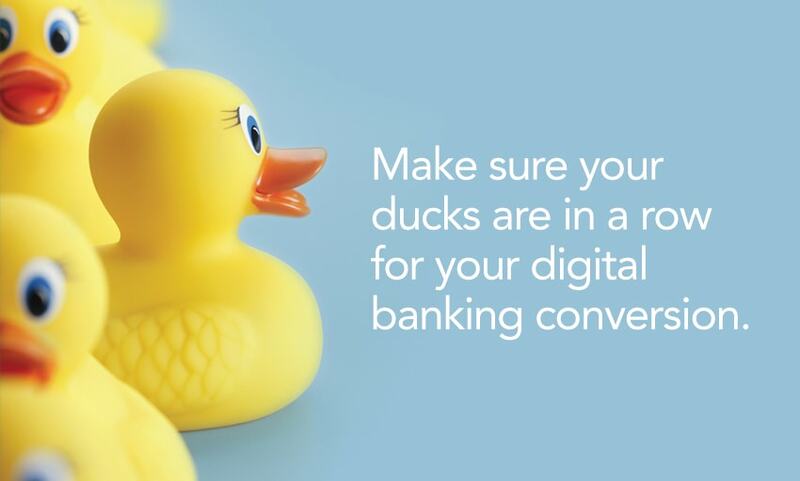 The Q2 blog provides useful tips to assist those financial institutions considering a digital banking conversion. This blog post has tips on organizational readiness. A digital banking conversion can be a complex process for financial institution (FI) personnel and account holders, alike. There are new processes, procedures and terminology, not to mention back-office utility management, that must be learned along the way. Given its scope, a conversion requires proactive planning and effective project management to succeed. So, how should a bank or credit union begin its conversion project? Without the proper personnel to create, execute and manage an implementation plan, setbacks, delays and other chaos can be expected. Who comprises these teams varies from FI to FI, and is generally a function of size, business focus, total headcount, and the mix of digital banking solutions purchased. The team could be comprised of those individuals who originally made the decision to convert, and then selected the vendor to be the FI’s partner. Q2, however, recommends an FI add a number of others to the team. Include key personnel from many departments within the bank or credit union as feasible. It’s important to have this level of representation in order to ensure all the bases are covered for the conversion. And those specifically responsible for managing digital banking solutions. Once the conversion team is in place, it’s imperative to establish a project leader: the point person who will own the overall project and be responsible for coordinating meetings, ensuring deadlines are met and reporting on the status of the project to executive management. This person will also serve as the main contact for the project manager lead of the vendor implementing the new system. The project manager chosen must have strong organizational and interpersonal skills in order to ensure a smooth-as-possible conversion process. Equally important, he or she must be highly self-disciplined and never lapse in monitoring and directing the project through its stages. Our next post will provide more tips on organizational readiness, addressing the specific roles and assignments required for a digital banking conversion.